Ativan is the brand-name version of a medication called lorazepam. It belongs to a class of drugs known as benzodiazepines, which are commonly used to treat anxiety. Unfortunately, benzodiazepines are among the most widely abused classes of drugs and have a high risk for dependency. Physical dependency is generally characterized by an increasing tolerance to the drug in question, meaning that a higher amount is needed in order to achieve the same effects. Behavioral-based therapy and medication should follow detoxification.Detoxification is the process of allowing the body to rid itself of a drug. It's often accompanied by withdrawal, which is the set of symptoms the body experiences when long-term use of a drug is abruptly discontinued. The unpleasant symptoms that arise throughout the period of withdrawal impart a high risk of relapse for people undergoing detoxification, so making it through this process is an important step to recovery. The National Institute on Drug Abuse cautions that detoxification should be followed up with behavioral-based therapy and medication in order for it to constitute real treatment. Detox and withdrawal can be a difficult and sometimes dangerous process, and should be closely monitored by medical professionals. In the case of an Ativan dependency, detoxification is one of the first steps to becoming drug-free. If you or a loved one is experiencing dependence on Ativan and want to discuss your treatment options, call 1-888-993-3112Who Answers? to speak to a compassionate treatment support representative. In general, detoxification is made even more dangerous because of the risk of relapse. Since the withdrawal process accompanies detoxification, some patients may find withdrawal symptoms so distressing that they feel compelled to go back on the drug. These psychological symptoms may become so severe that some patients choose to return to the drug in order to escape them. Given Ativan's potential for extreme withdrawal symptoms, possibility of rebound anxiety or insomnia, and the risk of relapse, detoxification should be closely monitored by medical professionals. Self-detox is not recommended. One of the biggest reasons to avoid detoxing at home is the risk of relapse. Withdrawal can be a difficult process to endure, particularly if rebound symptoms occur. 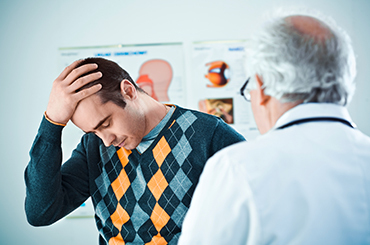 Detoxing under close medical supervision can ensure that the patient has quick access to psychological care if he or she experiences rebound anxiety during the withdrawal process. This kind of treatment can help patients make it through detoxification without going back on the drug. symptoms, such as seizures, it's doubly important to be closely monitored while undergoing detoxification in case a medical emergency arises. Medical professionals can also help patients detox over a safe period of time. Patients who detox at home may be tempted to quit "cold turkey," or abruptly stop taking the drug altogether. Abrupt cessation is associated with worse withdrawal symptoms and is not recommended. Rather, the federal Food and Drug Administration (FDA) recommends tapering off use of the drug over a period of time in order to minimize withdrawal. Abruptly discontinuing your Ativan use can cause withdrawal symptoms to be more severe, so the FDA recommends a tapered approach supervised by medical professionals, in which the patient is gradually weaned off the drug. Sometimes, tapering off the use of the drug is the only intervention necessary. However, there are also some medications that may be prescribed to help patients with their withdrawal symptoms. Flumazenil is one commonly prescribed benzodiazepine antagonist - a drug that blocks benzodiazepine binding at the GABA receptor, negating the effects on the brain. Flumazenil can help to prevent a fatal overdose and will hasten the detox process as it sends an individual into almost immediate withdrawal. It's use is guarded as it may increase the risk of seizures. Additionally, psychological therapies have been shown to have positive results. Cognitive behavioral therapy may be recommended to help with detoxing from Ativan.Cognitive behavioral therapy is often recommended to help patients maintain abstinence from the drug. Psychiatric treatment may also help patients deal with the psychological symptoms that can arise from an Ativan withdrawal. Some rapid detoxification methods have been proposed. A 2014 study proposed using a class of drugs known as acetylcholinesterase inhibitors in rapid detox treatment of benzodiazepines. But in general, the National Institutes of Health warn against rapid detox programs, particularly for benzodiazepines. Detoxification from a prescription drug like Ativan is difficult, especially if you may have been taking it to deal with a legitimate underlying problem, like anxiety. When an addiction creeps up on you, it can be very difficult to acknowledge. Don't worry, help is available and many Ativan abusers have recovered. Call 1-888-993-3112Who Answers? today to find a suitable Ativan detox and treatment program for you or a loved one. In general, the first step in detoxification is working out a taper schedule in order to wean off the drug. Some doctors recommend switching to an equivalent dose of a different intermediate or long-acting benzodiazepine in place of the original drug and then started the tapering process; particularly for outpatient treatments. Once withdrawal sets in, some medications may be prescribed to help with symptoms. Relieves neuropathic pain and prevents seizures. If you are undergoing inpatient treatment, it may be recommended that you attend cognitive behavioral therapy sessions in order to maintain abstinence from the drug. Some of these may resemble symptoms you experience before going on the drug, since Ativan is commonly used to treat anxiety. Therapy sessions may also be useful in controlling these symptoms, and some doctors may prescribe antidepressants in severe cases. The length of a detoxification program may depend on the tapering schedule recommended by your doctor, and is likely to be longer if you're going through an outpatient program. A 2015 literature review on benzodiazepine dependence and withdrawal suggests that 4-10 weeks is standard for a detoxification schedule. Detoxification treatment can be conducted either through an inpatient or outpatient program. 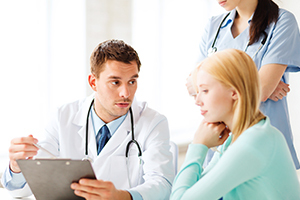 Outpatient treatment is recommended for people who have been taking lower doses of the drug. In these cases, you'll be able to come and go from the treatment facility. Inpatient treatment, on the other hand, is generally considered best for people on higher doses, as their withdrawal symptoms may be worse. In this case, you'll remain at the facility until your treatment is complete. This process could take several weeks, so it's important to plan accordingly. Once you've entered a program, the next step will be to discuss your detoxification schedule. Depending on the dosage of Ativan you've been taking, your doctor will likely choose to decrease your dose by a set amount each week, such as by 20 or 50 milligrams. This will go on until you're able to go off the drug entirely. While this is going on, you may be prescribed medications, such as the ones mentioned above, to help control your symptoms. Your treatment center may also offer cognitive behavioral therapy or psychiatric treatment sessions to help control cravings and manage psychological symptoms. These programs may be more expensive, however, so it's important to consider costs and consult with your health insurance company, if applicable. Choosing the right detoxification program can be a stepping stone towards successful recovery. However, that also makes it incredibly overwhelming, particularly if you are dealing with the difficulties of addiction. Get help with choosing a suitable treatment program by calling 1-888-993-3112Who Answers? today.